Ipsun Power, Inc. and our subsidiaries and affiliates (collectively, “Ipsun Power”) recognize that when you choose to provide us with information about yourself, you trust us to treat it responsibly. Our Sites may link to third-party websites and services that are outside our control. We are not responsible for the security or privacy of any information collected by such third-parties. You should exercise caution, and review the privacy statements applicable to such third parties. You may also provide other information such as demographic information and product interests when you create an account, complete a survey, connect through a social feed, or send us an email or message. If you use a mobile device to access our Sites, we may collect information about that device, such as the type of mobile device you use, your mobile telephone number, or a device identifier, as well as the date, time, and content of your messages relevant to your use of our mobile services. We collect information you allow a third party to provide to us such as your monthly utility usage. In addition, we may also receive information about you from publicly and commercially available sources. We also may collect other information about you, your device, or your use of our Sites in ways that we describe to you at the point of collection or otherwise with your consent. All of the information we collect about you may be combined to help us enhance and improve our Sites and tailor our communications to you. Affiliates. 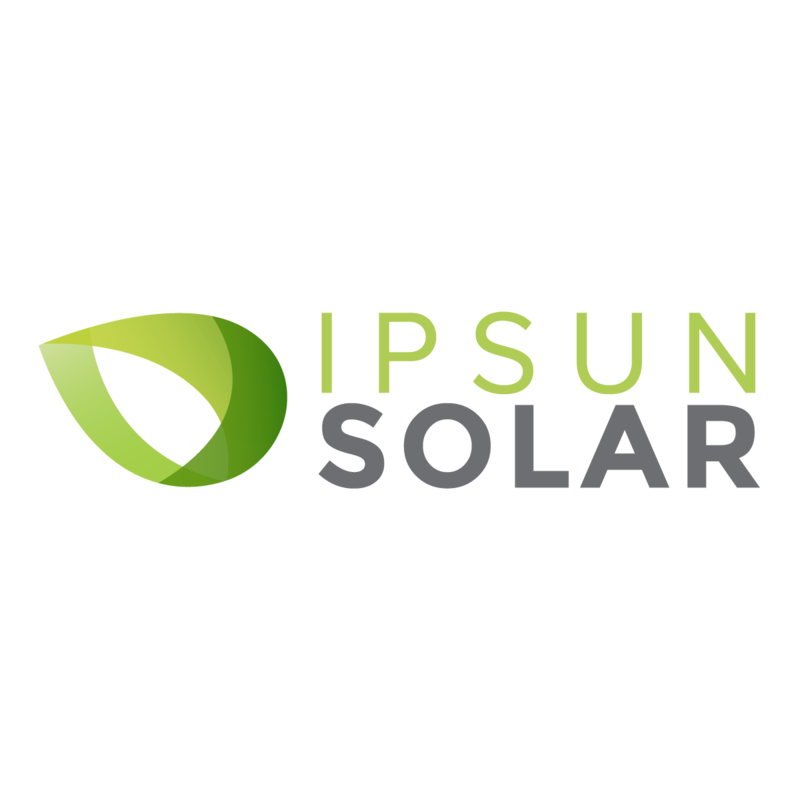 We may share Personal Information within Ipsun Power among our various subsidiaries and affiliates. Service Providers. We rely on third-party service providers to perform a variety of services on our behalf. To do so, we may need to share your Personal Information with them. Other Parties In Connection With A Corporate Transaction. We may disclose your Personal Information to a third party in the event we sell or transfer all or a portion of a business or our assets to a third party, such as in connection with a merger or in the event of a bankruptcy reorganization or liquidation. Aggregated and Non-Personal Information. We also may share data that is not reasonably linkable to a particular consumer or device (for example, information that has been aggregated with other records) for general business purposes. We may also share aggregated or anonymized information, which may be shared with third parties without your consent. For example, we may share your aggregated and anonymous information to publish trends about energy use and conservation and help utility companies provide demand-response services. Some web browsers may transmit “do-not-track” signals to the websites and other online services with which a user communications. There is no industry standard that governs what, if anything, websites should do when they receive these signals. Ipsun Power currently does not take action in response to these signals. If and when a standard is established and accepted, Ipsun Power may revisit its policy on responding to these signals. Some of these companies participate in industry-developed programs designed to provide consumers choices about whether to receive targeted advertising. Please visit the websites operated by the Network Advertising Initiative (http://www.networkadvertising.org/) and Digital Advertising Alliance (http://www.aboutads.info/) to learn more. We do not knowingly collect information from children under the age of thirteen (13) online. If we learn that a child under the age of 13 has provided us with information, we will delete it in accordance with applicable law. Digital and Electronic Communications (including email and website): If you no longer wish to continue receiving commercial emails from us or our business partners, you may follow the instructions contained in any such message. You may also contact us at [email protected] for information about how to remove yourself from any of our mailing lists. Postal mail: If you would like to be removed from our postal mailing lists, please send an email to [email protected] Put the word “REMOVE” in the subject line. In the body of the email, please include your name and address and the database(s) from which you would like your information to be removed. Please note that, despite your opt-out selections, we may send you communications regarding transactions or services you have specifically requested or to inform you of important changes to our Sites, services, or policies. If you have multiple accounts, you may need to opt-out separately for each account in connection with the privacy choices described above. California residents are entitled once a year, free of charge, to request and obtain certain information regarding our disclosure, if any, of certain categories of Personal Information to third parties for their direct marketing purposes in the preceding calendar year. We share Personal Information with third parties that provide services or products of interest to you for their direct marketing purposes. We have in place various procedures to safeguard your information, including technical, administrative, and physical procedures intended to keep your information secure. However, please note that although we take reasonable steps to protect your information, no website, Internet transmission, computer system or wireless connection is completely secure. A cookie is a small file that may be stored on your computer or other device. They enable the entity that put the cookie on your device to recognize it across different websites, services, devices, and browsing sessions. When you use a web browser to access our Sites, you may configure your browser to accept all cookies, reject all cookies, or notify you when a cookie is sent. Each browser is different, so click the “Help” menu of your browser to learn more about how to change your cookie preferences. The operating system of your device may contain additional controls for cookies. Please note that disabling cookies may affect your ability to access and use certain features of our Sites. Administering and improving our websites, including helping us measure and research the effectiveness of our content, features, advertisements, and other communications. For example, we measure which pages and features website visitors are accessing and how much time they are spending on our web pages. We may include web beacons in e-mails, for example, to understand whether messages have been opened, acted on, or forwarded. Storing your sign-in credentials and preferences so that you don’t have to enter those credentials and preferences each time you log on to a Site. Helping us and third parties provide you with relevant content and advertising by collecting information about your use of our Sites and other websites.